Though the idea sounds nice, B2B marketers simply can’t rely on a single piece of software to capture end-to-end marketing processes. The marketing technology (MarTech) landscape is exploding with options, none of which fill every use case in the B2B marketing organization. Such use cases are only expanding. This is why Chief MarTec reports that within the last year, the landscape grew approximately 40%, to a total of 5,381 solutions (from 4,891 unique companies). To help boil this MarTech chaos down to something that’s more coherent to marketers in need of guidance, here are four essential parts of an effective integrated marketing system that should be covered. 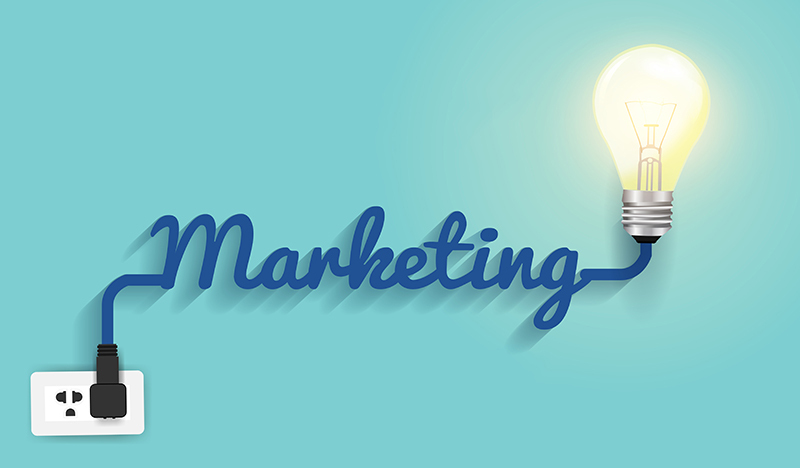 At the top of the funnel, marketing systems and technologies serve the purpose of generating awareness and converting awareness into interest (i.e., contact info and leads). At this stage of the sales cycle, B2B decision-makers begin researching potential solutions to pain points. Customer service, easier done than said.Zoho Desk is the industry’s first context-aware help desk software. With powerful reporting features, intuitive UI, effective automations and integrations, you can transform your customer service and turn it into your competitive advantage. Try the award-winning software for free. When a prospect has been converted into a lead, they enter the middle of the funnel, loosely termed the consideration stage. During this phase, the lead learns more about the brand and its products. B2B marketers rely on a variety of channels and methodologies to educate leads, nurture budding relationships and introduce points of competitive differentiation. Increasingly, the success of B2B marketing organizations is measured in comprehensive success metrics such as marketing-influenced sales pipeline or even revenue, instead of volume-based metrics such as total leads generated. This has made full-funnel insight crucial, as marketers face pressure to optimize campaigns in-flight across complex, multi-channel marketing campaigns on an ongoing basis. The most effective systems of insight don’t just offer in-depth visibility into single channels or sources. They allow marketers to understand performance in terms of metrics that matter, such as pipeline contribution from various sources, channels and content, and in real-time. With true, full-funnel visibility, marketers can achieve transparency throughout the sales funnel and the ability to continually optimize. While your B2B marketing organization can benefit immensely from integrated marketing systems in terms of customer relationships and loyalty, there are also significant operational benefits in store when you achieve true, full-funnel integration of your marketing technologies and software. B2B marketing organizations can achieve superior data quality and real-time access, including better lead velocity, when manual processes are replaced with automated tools and systems which work together seamlessly. When multichannel data is combined across systems, organizations can achieve the ability to measure full-funnel results with closed-loop reporting to optimize campaigns in-flight. Marketers no longer have to wait for campaigns to conclude before analyzing channels, tactics and strategies. With visibility across systems and strategies, marketers can adopt a real-time approach to improvement. End-to-end integration can save the average B2B organization tens of hours each week on manual tasks such as lead data processing – such as lead aggregation, validation, data deduplication and routing. This can free talented demand marketers to focus on strategy, process optimization, content creation, continual education and other improvement-oriented tasks. Not all tools can work at every level of the funnel, but data needs to flow cleanly through the entire tech stack to truly be integrated. As B2B marketers consider new technology investments, prospective new tools and solutions should be weighed against the increasingly common saying, “integrate it or reject it.” If a tool or platform can’t be integrated seamlessly into the existing marketing technology ecosystem, it may not deliver the value promised. Within the new app economy, integration between apps is easier than ever. Using solutions such as Zapier to layer on integration can be sufficient. But, marketers need to commit to periodic testing these third-party integrations to ensure they’re working properly. Third-party integration apps can stop working for a number of reasons, which mandates regular manual checks. In general, native integrations always provide a stability advantage when it comes to seamless, reliable integration throughout the B2B marketing funnel.